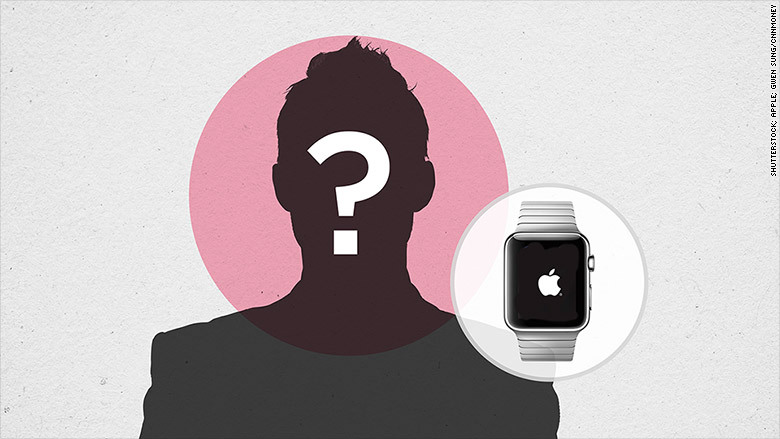 Who exactly is the Apple Watch for? After a year of lusting and longing, the first lucky customers have finally strapped on their brand new Apple Watches. That first day is probably filled with wonder, excitement, and the giddy high that comes with any new relationship. But soon that glow will fade and there will be a more realistic picture of how -- and if -- this watch fits into their lives. Eventually, we'll figure out who, exactly, the Apple Watch is for. Here are some possibilities. For the type of people who camp out overnight to buy a gadget, new technology is a pleasure unto itself. If you get a thrill exploring settings and features, then the Apple Watch could be pretty satisfying. It helps if you're tech savvy and aren't put off by the bumps of a first-generation device. You'll be able to rent an Apple Watch -- but should you? The first wave of reviews has come from tech reporters, who spend most of their time sitting at desks, their smartphones just a few inches away. Beyond constantly begging you to stand up, the watch doesn't have much use at a desk. It's not even the fastest way to tell time (there's a slight lag for the screen to light up). But it could be killer for people who spend their days on their feet. A tightly edited selection of notifications could be incredibly helpful for people waiting tables, working on oil rigs, taking classes or treating patients. Companies could even create custom apps to track and assist their employees. Having kids is just another physical job, really. With an added dash of guilt when you look at your phone for too long and subsequently ignore your child. A smartwatch has the potential to fix that. If your hands are full -- holding kids, pushing them on a swing, cleaning up after them -- you can just press a button to answer a call or quickly read a text. If you're trying to limit screen time, it also keeps the tempting iPhone out of sight. If your phone addiction is impacting your relationships, will an Apple Watch make it better or worse? In theory, seeing notifications instantly could improve it, helping to avoid "phone holes" -- when you're just checking to see if anyone called but end up on Twitter for 20 minutes. Or it could prevent you from ever fully unplugging. Beyoncé received a custom gold Apple Watch. Even if she only uses it to check the time and send Blue Ivy heart emojis, it is amazing and worth wearing. See also: Karl Lagerfeld. The fear of missing out is real. If you're constantly checking your phone to see what other people are doing, worried you missed a text or an invite to happy hour, an Apple Watch could help ease your anxiety. Honestly, one of the most useful features on the watch is the button that pings your iPhone so you can figure out where you left it. It's also great if you have a giant bag and can never manage to fish out your phone in time to answer a call. Whether these features are worth $350 is up to you. Like fancy cars and designer shoes, the Apple Watch is a luxury item. Its physical design is beautiful, especially for the higher-end models. Deciding to rock an Apple Watch can be as simple as making a statement. And maybe that statement is, "I can afford to drop $17,000 on a gold futuristic wrist-beeper."